Fingerprints have been established as the “bar code” that identifies each individual in the human species. They are the most valuable forensic evidence for criminologists and are becoming an everyday tool at the office and even on the screen of your smartphone. Why are fingerprints so unique and irreplaceable? What is the secret behind these peculiar markings? We have known for more than 2,000 years that the patterns forming fingerprints are unique to each individual, although we have only being studying the reason why for 2 centuries. In this report we review some of the things that your fingerprints say about you from fascinating scientific perspectives. Fingerprints are the patterns or markings on fingertips, although they also exist on the palms of hands (palmetograms) and on the soles of feet (pelmatograms). Did you know: Fingerprints are created around the tenth week of pregnancy (when the fetus measures approx. 7.62 cm) and are definitive by the 6th month of pregnancy. 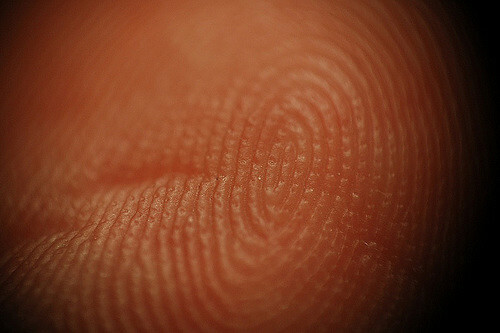 Fingerprints are unique to each individual, but they are also immutable. They remain unchanged from when they form in the fetus until you die, because despite any damage that the skin may suffer, they are always regenerated following the original pattern. Although they are determined by each individual’s genetic information, their development is influenced by physical factors (the exact location of the fetus in the uterus, the density of the amniotic fluid, among other things), even in identical twins or a clone (with the same DNA) the fingerprints of two individuals cannot be the same. However, there is the exceptional situation in which people are born without fingerprints. This condition is known as adhermatoglyphia. Many species of primates (gorillas and chimpanzees) and other mammals such as koalas have developed their own fingerprints, which are very similar to those of humans. In addition, zebras and tigers have the equivalent of fingerprints on their fur markings, since the patterns that form lines and spots are also unique for each individual. At the top of the image an inkprint of a male koala (left) next to that of an adult human (right). At the bottom, an image under the microscope of the epidermis of the same individuals. Credit: Macie Hennernber et al. The case of koalas is especially striking, because as you can see in the picture, the prints are surprisingly similar to those of humans, even more than those of our “evolutionary cousins”: primates. The presence of these markings on the skin of koalas, a marsupial climber, could be explained by its interaction with the bark of trees, given its climbing nature, although there are still major uncertainties regarding function, evolutionary origin and the reason for differences between individuals. In many cultures, tradition and superstition have viewed the palm of your hand as “the open book” in which to read the designs that destiny has prepared for each individual. Although science has not been able to confirm its informative value in the future, there are theories that relate who you are today with what “can be read” in your fingerprints. The grooves on your fingertips could be the mirror of the innate talents that accompany you from before you were born. Skin is one of the largest organs in the body and genetics (and its conditioning) is behind the formation of each of our organs so, thus far, it is not so farfetched to think that your skin, and in particular the marks on your fingers, palms and soles of your feet can indeed reveal information about you. The surprising part arises when that information is not purely physical or biological, but has to do with your intelligence and brain activity. Fingerprints are formed at the same time as the brain’s neocortex , which controls emotions and cognitive abilities such as concentration, memorization, ability to behave or manage problems etc., which is clearly related to psychology. In fact, in cases where there is the strange condition that some children are born without a brain (anencephaly), they do not have fingerprints either. This and other keys to the embryogenesis process (formation of a multicellular organism from a zygote) prove the connection between the brain and fingerprints. There are four basic ways to create fingerprint patterns: bows, loops, spirals and compounds. Through the study of possible compositions, the presence of certain medical conditions can be associated with specific patterns, i.e. associating forms with diseases. Several studies have shown that there are common patterns among a group of people suffering from the same disease or medical condition. This has been proven in the case of congenital defects such as Down’s syndrome, Klinefelter’s syndrome, schizophrenia, and some types of heart disease. Even more everyday ailments or pathologies, such as being prone to suffer from cavities, have a direct relationship with your fingerprint pattern. Is it possible to diagnose a disease through your fingerprint? 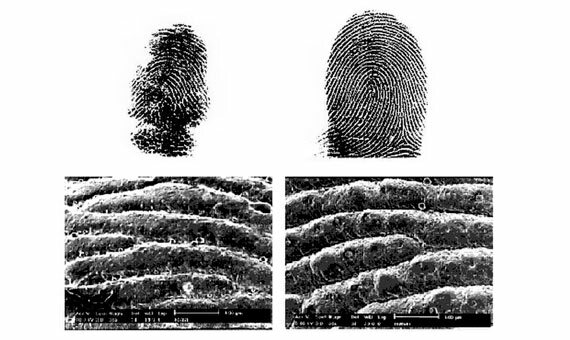 It is possible to know whether a fingerprint belongs to a man or a woman through the biochemical potential of the samples. That is to say, the residues that a fingerprint contains and that, thanks to the chemical information that they contribute, would make it possible to determine the gender of the individual to which they belong. The key is, according to a study by the State University of New York, in the levels of amino acids that a certain fingerprint contains. Beyond gender, researchers hope to develop a method that also makes it possible to determine age and ethnicity, according to statements by Dr. Jan Halamek, one of the authors of the cited study. Does this mean that we can find a code, in addition to the hidden geometric forms of our fingerprints, in the biochemical information they involuntarily contain? Being born with a “gift” for sport, or with a genetic predisposition that facilitates the development of certain sport‌ing abilities, is nothing new for science. However, fingerprints may be the key to determining those abilities even before we are born. The dermatoglyphs or dermopapillary figures of our fingertips are formed, as we explained above, during pregnancy and are defined by our genetic information. There are four basic ways to create fingerprint patterns: bows, loops, spirals and compounds. In the 1960s, the former Soviet Union conducted a number of studies in order to select the most effective athletes for each sport according to their genetic traits. Among other methods (apart from DNA tests), dermatoglyph analysis was used (Morales, 2014). In short, your fingerprints reveal your neuromuscular potential and the genetic conditions that make you prone to stand out in certain physical activity. 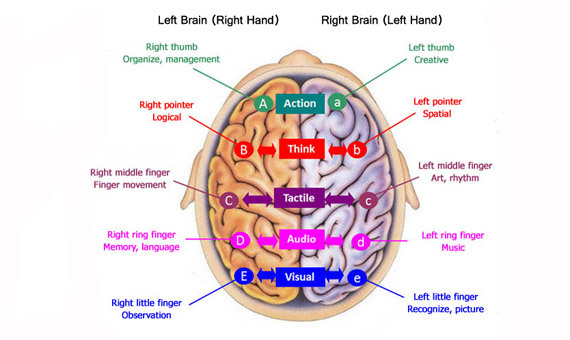 There are even studies that associate certain forms in specific fingers of your hand to specific skills, as in the case of explosive strength, which increases as the markings of the first right finger increase.